The ultimate gift edition of L. Frank Baum’s beloved story?just in time to celebrate the 70th anniversary of MGM’s classic film adaptation! Featuring a ribbon marker, this magical version is redesigned and reproduced from the original art. Charles Santore has crafted a very personal, highly visual, and dazzling interpretation, with a carefully condensed text that uses virtually no words other than Baum’s own. Readers of all ages will follow the Yellow Brick Road on an unforgettable journey that takes them from Dorothy’s gray Kansas home into the blue Munchkin land; the sparkling bejeweled Emerald City; the dark, foreboding forest; and the ruby-red throne room of Glinda the Good Witch. Michael Patrick Hearn, the world’s leading authority on The Wizard of Oz and L. Frank Baum, provides an enlightening introduction. Watership Down is the compelling tale of a group of wild rabbits struggling to hold onto their place in the world—soon to be a BBC and Netflix animated miniseries starring James McAvoy, Nicholas Hoult, and Oscar and Grammy award-winning Sir Ben Kingsley. 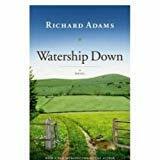 A phenomenal worldwide bestseller for more than forty years, Richard Adams's Watership Down is a timeless classic and one of the most beloved novels of all time. Set in England's Downs, a once idyllic rural landscape, this stirring tale of adventure, courage and survival follows a band of very special creatures on their flight from the intrusion of man and the certain destruction of their home. Led by a stouthearted pair of brothers, they journey forth from their native Sandleford Warren through the harrowing trials posed by predators and adversaries, to a mysterious promised land and a more perfect society. New York Times-bestselling Tad Williams’ landmark epic fantasy saga of Osten Ard begins an exciting new cycle! With The Dragonbone Chair, Tad Williams introduced readers to the incredible fantasy world of Osten Ard. His beloved, internationally bestselling series Memory, Sorrow, and Thorn inspired a generation of modern fantasy writers, including George R.R. Martin, Patrick Rothfuss, and Christopher Paolini, and defined Tad Williams as one of the most important fantasy writers of our time. This edition features a brand-new introduction from Tad Williams' editor as well as the original introduction from Williams himself! Known particularly for his poignant fairytale fantasy novel PHANTASTES, George MacDonald inspired many authors, such as J. R. R. Tolkien, C. S. Lewis, and E. Nesbit. It was C. S. Lewis who wrote that he regarded MacDonald as his "master": "Picking up a copy of Phantastes one day at a train-station bookstall, I began to read. A few hours later," said Lewis, "I knew that I had crossed a great frontier." The story centres on the character Anodos and concerns a young man who is pulled into a dreamlike world and there hunts for his ideal of female beauty, embodied by the "Marble Lady". Anodos lives through many adventures and temptations while in the other world, until he is finally ready to give up his ideals. A dark power is growing in the depths of two wizard kingdoms. The powerful Prospero and his sidekick Roger Bacon must navigate the magical realm to defeat their ancient enemy. Now here you can enjoy free online spades games http://myspades.org and can also improve your skills by playing these games as these games are known to best mode to avoid mismatches.